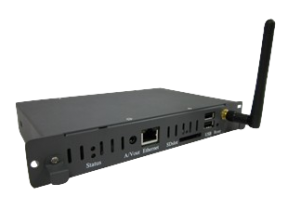 The OPS XMP-2400 provides great flexibility for in-store installation by featuring Wifi LAN connectivity. It enables deployment at locations where network wiring is expensive, such as at retail end-caps, isolated retail booths, and display totems. JPEG, PNG, MPEG1,2&4, H.264, AVI...see spec sheet for more.